True Economics: 15/6/15: Next Step: Cyprus. ... or in simple terms: Cyprus. Anyone surprised by Draghi not mentioning any of this anywhere today, shouldn't be. Il Capo does not do the work of Soldati... 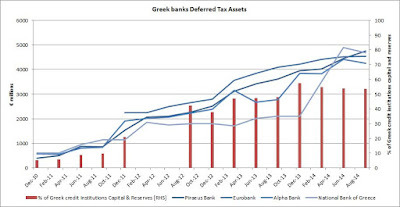 But Dr. Draghi did say he thinks ELA underwrites solvent banks... presumably in an insolvent state... which, of course, makes banks insolvent too. How? In two steps: Step 1 - banks hold 'insolvent' state bonds. As long as they do, the state remains 'solvent' but once the state becomes insolvent, banks go too. 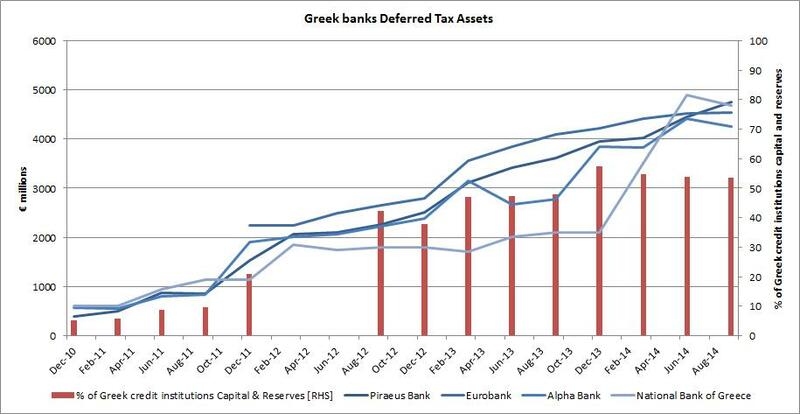 Step 2 - Greek banks have tax offsets. Once the state goes, so do the offsets and banks.